. [1st Congress of Cognitive Behavioral Psychotherapies: Oral Presentations]. JCBPR. 2018; 7(Supplement 1): 1-20. Turkish.
. [1st Congress of Cognitive Behavioral Psychotherapies: Oral Presentations]. http://www.jcbpr.org/?mno=302643660 [Access: April 22, 2019]. Turkish.
. [1st Congress of Cognitive Behavioral Psychotherapies: Oral Presentations]. JCBPR. (2018), [cited April 22, 2019]; 7(Supplement 1): 1-20. Turkish. (2018) [1st Congress of Cognitive Behavioral Psychotherapies: Oral Presentations]. JCBPR, 7 (Supplement 1), 1-20. Turkish.
. 2018. [1st Congress of Cognitive Behavioral Psychotherapies: Oral Presentations]. Journal of Cognitive-Behavioral Psychotherapy and Research, 7 (Supplement 1), 1-20. Turkish.
. "[1st Congress of Cognitive Behavioral Psychotherapies: Oral Presentations]." Journal of Cognitive-Behavioral Psychotherapy and Research 7 (2018), 1-20. Turkish.
. "[1st Congress of Cognitive Behavioral Psychotherapies: Oral Presentations]." 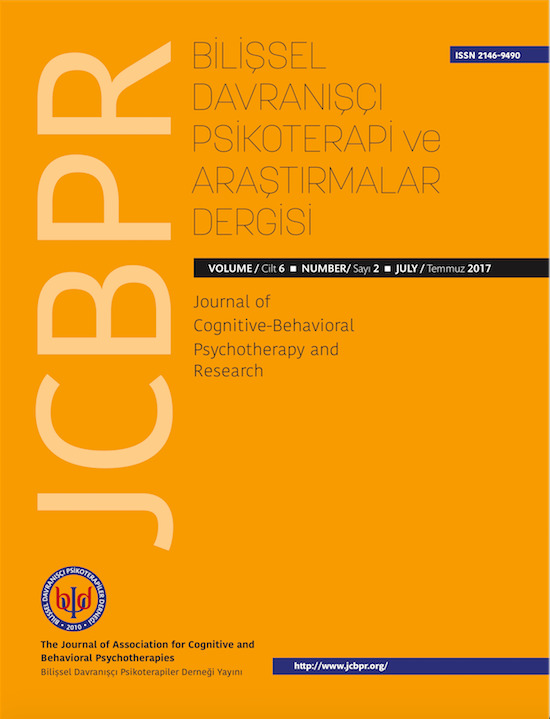 Journal of Cognitive-Behavioral Psychotherapy and Research 7.Supplement 1 (2018), 1-20. Print.Turkish. (2018) [1st Congress of Cognitive Behavioral Psychotherapies: Oral Presentations]. Journal of Cognitive-Behavioral Psychotherapy and Research, 7 (Supplement 1), 1-20. Turkish. JCBPR. Year: 2018, Volume: 7, Issue: Supplement 1: 1-20.